Climbing automotive expenses make your family vehicle an investment worthy of protection. Finding a safe parking space, even at home can be problematic. Sometimes even a double garage isn’t large enough! Many families are home to multiple vehicles such as second and third cars, boats, campers, and RVs. These are all susceptible to damage and accelerated depreciation because of wind, precipitation, and also the hot summer sunshine. 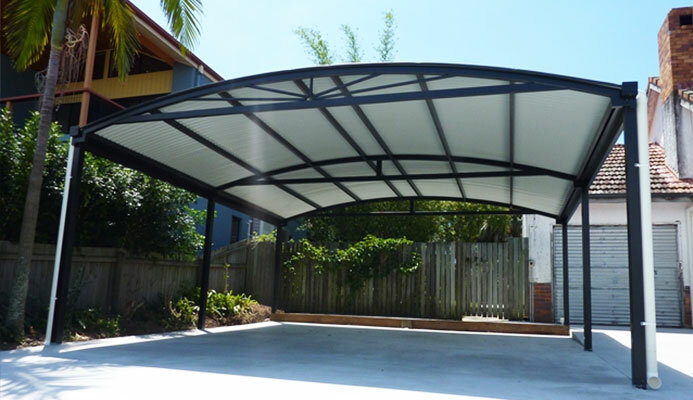 The modern carport is an affordable, practical solution that will protect your valuable assets. A new carport is no longer just a tacked-on awning for car protection. Premium Lifestyles is a builder of contemporary affordable carport designs that add both style and value. Call 3300 0507 or email us today for a FREE in-home measure and CARPORT DESIGN. Depending on your available space, your carport can provide protection for one or two cars, your boat, truck, camper or RV. Premium Lifestyles also offers carports for your seasonal vehicles. Start protecting your vehicles from the elements. The addition of a carport can provide you and your guests with easy access to and from the entrance of your home in all kinds of weather. When entertaining, your carport can be the next best thing to providing your guests with valet parking! The carport is also an ideal solution for additional outdoor living space so that you can entertain your guests or just relax with your family. At Premium Lifestyles, we never ask you to park your imagination. You choose the style and materials. Our experts work with the layout of your home to help you plan, design and build the perfect carport for your needs. Contact Premium Lifestyles to learn how you can easily add a touch of elegance to your home. We can build an attractive, yet practical and affordable carport design. Carport Designs and Ideas: View the Gallery of our custom built carports. Premium Lifestyles are a leading Brisbane builder and designer that offers value for money and outstanding quality. Our team has over 25 years experience. We create patios, decks, pergolas, verandas, carports and weatherboard garages that help you transform your landscape into functional, stylish and appealing living spaces. Our expert team of professional trade and design staff have the knowledge and experience. We can conceptualise, plan, draft, engineer and build both simple and more complex designs according to your budget. Do you need a patio or deck for outdoor entertaining, pool decking or a new carport? We can help you improve the value, functionality and liveability of your home or commercial property. We offer a 7-YEAR WARRANTY and every one of our premium structures is built to last. Premium Lifestyles are open 7 days a week and build carports in all Brisbane areas. This includes Brisbane North, East, West and South. We also service areas within a 100km radius of Brisbane such as Gold Coast, Ipswich and Sunshine Coast.